Listen to "Episode 12-1: Mission Accomplished" on Spreaker. Listen to "Tabletop Voices Episode 1" on Spreaker. It’s a pilot for a new show! Check out Tabletop Voices. Die Laughing Actual Play Live on Twitch - October 8th! On Monday October 8th at 7PM Eastern Craig Campbell of NerdBurger Games is going to run his soon-to-be Kickstarted RPG Die Laughing for players Celeste Conowitch, James Introcaso, Naseem Etemad, Ron Frazier, and Little Red Dot on the DSPN Twitch Channel. NerdBurger Games will be Kickstarting Die Laughing on Tuesday, October 30th to fund final artwork, layout, and a few other things. So stay tuned! Listen to "Episode 7-15: Trek Through the Undermountain" on Spreaker. Listen to "Episode 7-14: Trek Through the Undermountain" on Spreaker. Listen to "DSPN 2018 Gen Con Q&A Panel" on Spreaker. Rudy Basso, James Introcaso, Celeste Conowitch, Brittany Quintero, Naseem Etemad, Noel Shiri, Kat Faye, Kaitlin Gulch, Mike Shea, Shane, and I-Hsien of DSPN got together at Gen Con and took questions from the audience and gave prizes! 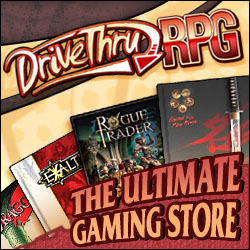 It's all your favorites from Venture Maidens, Dames & Dragons, Total Party Thrill, the DM's Deep Dive, Have Spellbook, Will Travel, Game O'Clock, and Table Top Babble hanging out together! Listen to "Chaosium Special - 13th Age Adventure in Glorantha Seminar 2018" on Spreaker. It's the Chaosium 13th Age in Glorantha Panel from Gen Con 2018! Rob Heinsoo is the creative director at Fire Opal Games and line editor for 13th Age Roleplaying Game, which he designed with Jonathan Tweet. His card game designs include Three-Dragon Ante, Legendary: Big Trouble in Little China, and the first two Epic Spell Wars games for Cryptozoic. Rob worked in Wizards of the Coast R&D and led the design of the 4th Edition D&D Roleplaying Game. Jonathan Tweet has been a games designer for 30 years, with credits including Ars Magica, Over the Edge, Dungeons & Dragons 3rd Edition, Magic: the Gathering, and his evolutionary card game Clades. He is the author of Grandmother Fish: A Child's First Book of Evolution. Michael O'Brien is Vice President for Chaosium. His role encompasses creative development, community engagement, licensing and MGF. Better known in the gaming community as “MOB”, he has been a long-time creative force for RuneQuest and Glorantha. Listen to "Pelgrane Press Week - Investigative Roleplaying Master Class 2018" on Spreaker. This panel: Investigative Roleplaying Master Class! Ruth Tillman is a writer and game designer whose credits include the Cthulhu Confidential RPG and adventures for Trail of Cthulhu and Night's Black Agents. She has created setting material and monster design for 13th Age, Feng Shui, TimeWatch, and the ENnie-winning Harlem Unbound. Kenneth Hite has designed, written, or co-authored over 100 RPG books, including Trail of Cthulhu, Night's Black Agents, The Fall of DELTA GREEN, and more. He is half of the award-winning podcast Ken and Robin Talk About Stuff, and an Artistic Associate at Chicago’s WildClaw Theatre. Listen to "Pelgrane Press Week - Dramatic Roleplaying Master Class 2018" on Spreaker. Listen to "Pelgrane Press Week - 13th Age Monster Design Seminar 2018" on Spreaker. Wade Rockett is a writer and game designer whose credits include adventures, monsters, and sourcebooks for 13th Age Roleplaying Game, as well as material for D&D, Pathfinder, and Hillfolk. Listen to "Pelgrane Press Week - 13th Age Adventure Design Seminar 2018" on Spreaker. This panel: 13th Age Adventure Design! Listen to "Episode 11-4: Bubblegumshoe" on Spreaker. Listen to "Episode 11-3: Bubblegumshoe" on Spreaker. Listen to "Episode 11-2: Bubblegumshoe" on Spreaker.